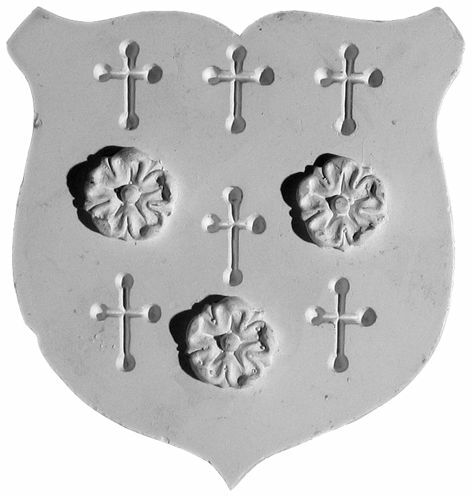 We can supply various small Gothic applied ornamental pieces; contact us with your requirement or for a price. We don't generally sell these individually, as it's not worth the trouble. We will supply them as part of a larger job or scheme. Tudor rose ornament 20cm diameter. 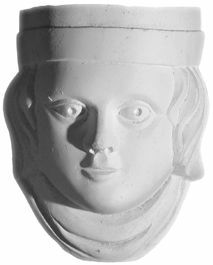 Medieval head corbels, style on seen on drip mouldings on churches & houses. Size ht 9 x w 11.5 cm. Above left; Gothic shield w13 x ht 14.5 cm. Above right; Gothic shield w24 x ht 29cm. 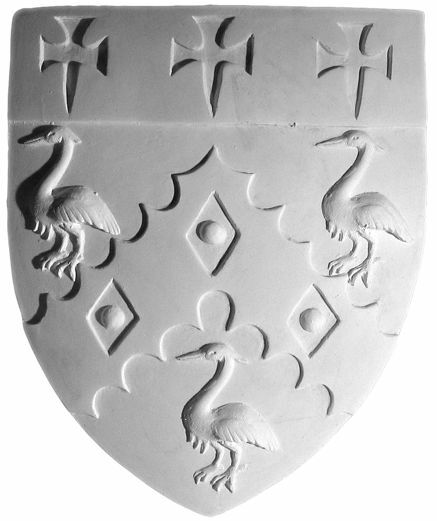 Top left; Gothic Heraldic Shield Ornaments. Two variant designs of an heraldic shield with either a Fleur de Lys or Tudor rose design on the front. Both same size - ht 95mm x wth 90mm. Top Right; Gothic Frieze panel. 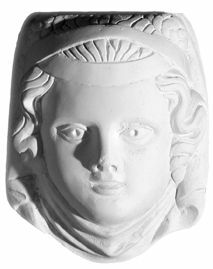 An ornate Gothic panel moulding, suitable for a dado, picture rail, door architrave or ceiling panels. Size 94 x 204 x 20 mm. Ref CHRI.